Ancient building material cob has been brought up to contemporary standards by a team of British and French researchers, who see it as an environmentally friendly option for homes. 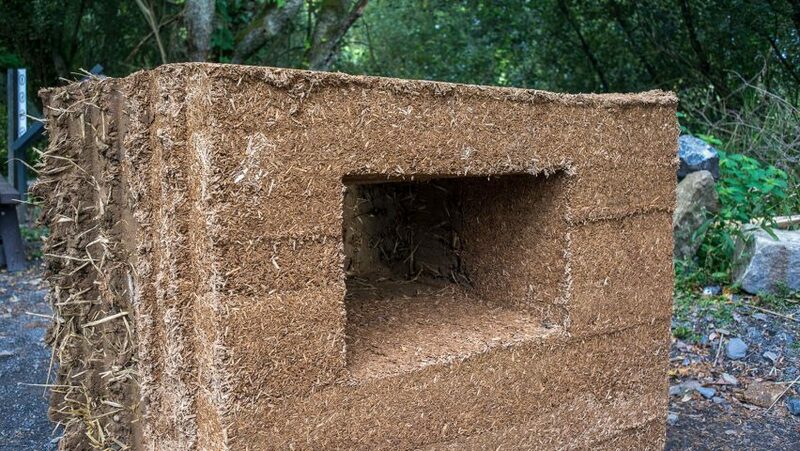 The team, led by Steve Goodhew from the University of Plymouth, have created a new version of cob – a building material made of a mixture of water, soil and fibres like straw and hemp, which was widely used for centuries in southwestern England, Wales and northern France. Their version has an increased ability to trap heat, meaning it meets current thermal standards for architecture. In a nod to the material's roots, they have named it CobBauge – an amalgam of its French and English names. Because it does not need to be heat-treated and is made from soil sourced from site, cob presents an opportunity to build more sustainably, with reduced carbon emissions and construction waste. And with CobBauge, occupants would have less need for heating than in a traditional building. The European Union calculates that half of energy consumption in the region comes from heating and cooling homes, a figure it aims to slash to meet its climate goals. "What we're doing is taking a robust vernacular material and bringing it right up-to-date," Goodhew said. "While what we have come up with is without a doubt a modern interpretation of cob, we hope it will satisfy both the traditionalists, and those looking for a hi-tech, energy-efficient material." "As a result of this research, we can say there is no reason why cob cannot be used to build modern houses that meet the latest standards." To create CobBauge, the researchers bonded together two grades of cob – a dense version for the outer wall and a more lightweight version for insulation. The next step for the researchers will be to build a test house with the material. They are hoping to create at least two, one on either side of the English Channel. "Here we'll be studying real CobBauge buildings, subject to real environmental conditions over a prolonged period to investigate in-situ thermal performance, humidity, particulates, the presence of volatile organic compounds (VOCs) and related energy use," said researcher Jim Carfrae, who lectured in environmental building at the University of Plymouth. He said that, as well as its environmental benefits, the material has the potential to positively impact the wellbeing of residents. "There is a realisation that modern building materials might have all sorts of negative consequences for inhabitants, making this work particularly timely, and creating a new focus on the use of natural materials like cob," he said. The researchers also aim to publish a set of building guidelines for CobBauge construction. Their team spans Plymouth's Building Research Group as well as France's Ecole Superieure d'Ingenieur des Travaux de la Construction de Caen, Syndicat Mixte du Parc naturel régional des Marais du Cotentin et du Bessin, Earth Building UK and Ireland and the Université Caen-Normandie. Cob is so durable that centuries-old walls remain in some contemporary renovations, including Puzzles Architecture's converted barn in Belgium and the RIBA House of the Year-nominated Cob Corner in Devon. There are also numerous old cob buildings still standing.